TASTING NOTES: Deeply red with violet hues and aromas of ripe red fruits, cassis, and peppers. 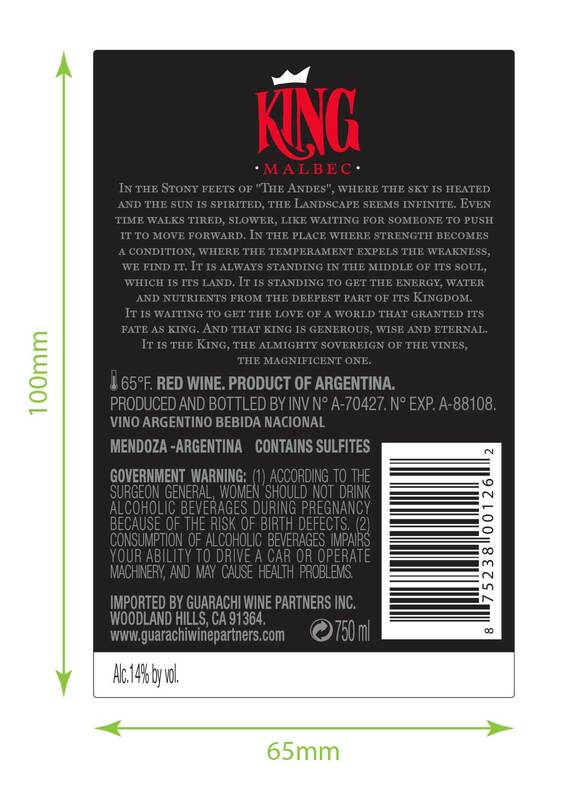 Sweet on the palate, spicy, and a long finish with a unique aftertaste embodies the true spirit of Malbec from Argentina. 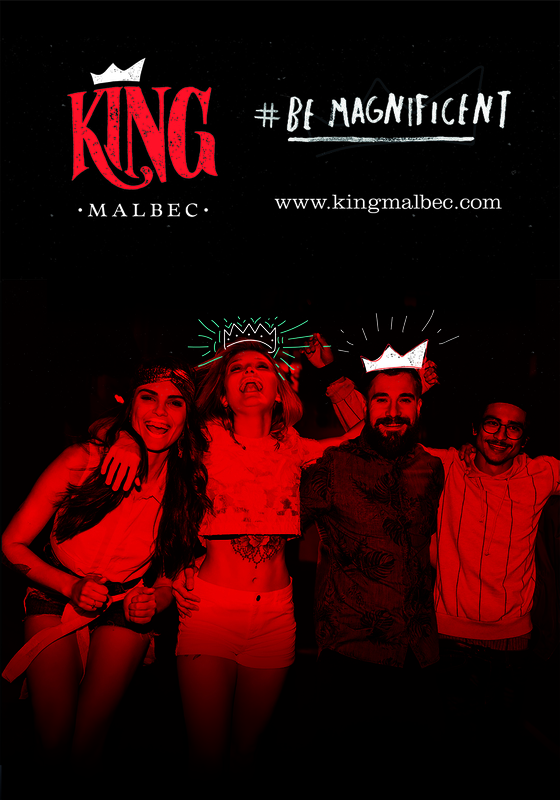 From the stony foothills of the Andes where the sun fills the sky over the vast landscape, a wine is born fit for royalty. 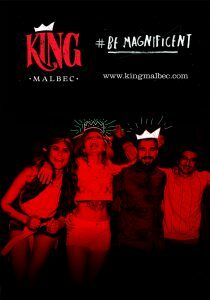 Its natural birthright, King Malbec rules Mendoza; deeply red with violet hues and aromas of ripe red fruits, cassis, and peppers. 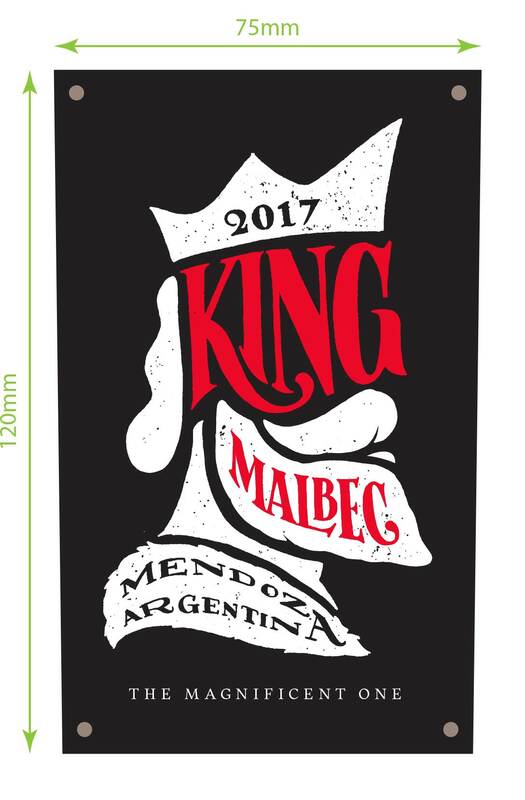 Sweet on the palate, spicy, and a long finish with a unique aftertaste embodies the true spirit of Malbec from Argentina.